Monster is a 47′ Steel Custom Bruce Roberts Spray. 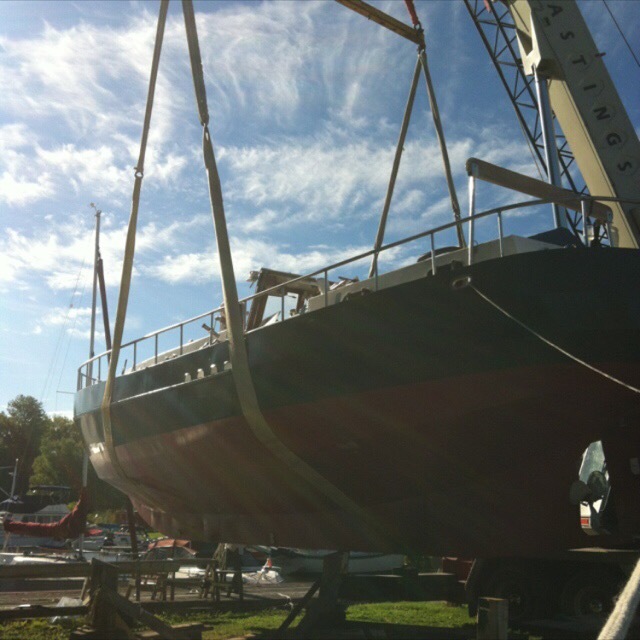 Built in 1985, her keel was laid at Kettle Creek Boat Works, in Port Stanley, Ontario. Monster is based on a 40′ Bruce Roberts Spray design, ultimately customized with a nicely rounded stern, lengthened amidships, and the deckhouse raised for greater headroom. Originally she was gaff rigged with a bowsprit, and subsequently altered in order to be sailed single handed. 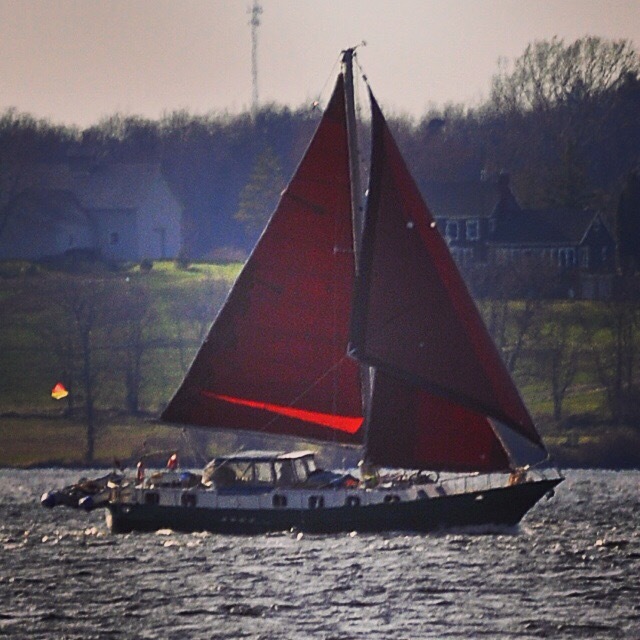 This is now reflected in her shortened mast, omitted bowsprit, and the rolling furling gear added to the head’sls. Her interior has the feel of that of a wooden boat, paneled with Cedar planking, Mahogany trim and an Oak sole. The galley counter and salon table are of warm Cherry. She is spacious, a bit rustic and has a feeling of homeyness, complete with the creakiest wooden deckboards you have ever heard.